Money problems over, but are LFC still lacking ambition? 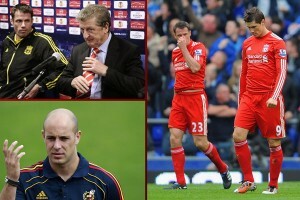 Roy Hodgson has passed comment on reports linking Pepe Reina to Manchester United. He said Liverpool don’t need the money and don’t want to sell, a situation that he says also applies with Fernando Torres. What he failed to discuss were the claims that have grown in recent days – that Torres and Reina are disillusioned with their manager, his coaching and his tactics. That the likelihood of them leaving hinges more on their own personal satisfaction with the club’s future direction than on any interest from other clubs or on Liverpool’s financial situation. Despite a far better performance on Sunday against Blackburn, Hodgson is still some way short of meeting the expectations of most supporters. He’s only managed to get two wins out of the first quarter of the league season, Liverpool are languishing in the relegation places with negative goal difference and Roy is acting like it’s a minor setback. 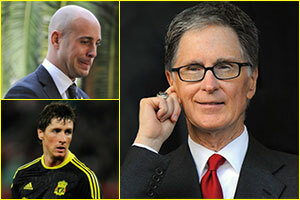 Continue reading Money problems over, but are LFC still lacking ambition?